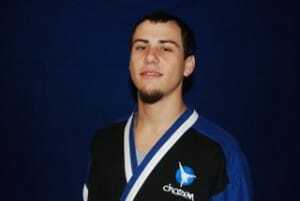 Sensei Cory has been training in karate for over 11 years. Sensei Cory Lemon trained in Claremont with Sensei Dianna Bivins. Sensei Cory is a 3rd degree black belt. He has been a black belt since 2001. He loves how karate helps you to understand how your body moves and works. He really enjoys the hands on aspect of the martial arts as well as the self defense. Sensei Cory was a member of the Dragon Illustrated Competition Team. He believes that karate is a journey that never ends and helps you to grow along the way. DonÆt stop just keep going!